On my way home from Chinese lessons last week I stopped by the supermarket to buy a can opener and dish soap (not actually the easiest thing to find). On my way out, I picked up a Chinese fashion mag. 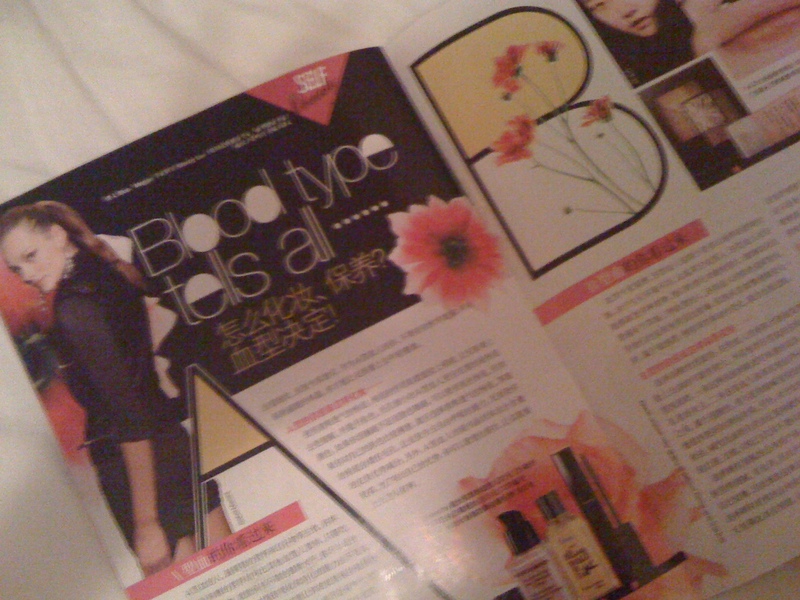 As I flipped through the Chinese SELF beauty supplement, which, by the way, also has a great summary of beauty brands and products in China, I flipped to an interesting article which took me completely by surprise. It’s called“怎么化妆，保养？血型决定！”or “Blood Type Tells All…” and basically outlines the beauty product choices you should make based on your blood type! I’ve never heard of such a thing, but, yes, what it purports is that everybody has a different body/chemical make-up, or harmony（阴阳型), that affects your health, skin quality, skin tone, and thus, the way you treat your skin and the products, even colors, you use should be chosen accordingly. I think it’s a fascinating approach to beauty. I haven’t decided if I buy it yet. Do you? Here’s my translation of the article, for those of you who are curious. Ah, stepped off the plane and back into a land where I have access to Facebook, Twitter, YouTube, and other fun things. It’s nice being home, and already I have my eye out for those interesting, quirky, beauty differences that you know I like so much. Brace yourself. One of the reasons China is such an exciting beauty market is because there are so many women that have yet to form regular beauty habits and simply aren’t used to using make-up the way we’re used to seeing in the West. BUT if the bookstores, magazines, and television shows are anything to go by – this is something that’s changing right before our eyes. (In fact, by the time I’m done with this entry, it may have already happened). This image is from a bookstore I was at yesterday. That’s just one wall. The other side is also filled with beauty books. Plus one more standalone row of books behind that. Have you ever seen anything like it at a Western bookstore? I know I haven’t. 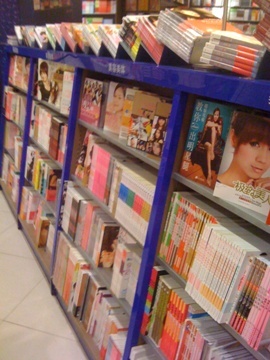 These are books on how to buy cosmetics, how to apply, how to try fun new looks from China/Korea/Japan/Taiwan, how to look fab and glamorous at 20, how to look fab and glamorous at 40, glamour secrets of Chinese women, beauty foods, why beauty will bring you love, success, joy, [insert other form of glory here]. They’re written by professional make-up artists, girls next door, up-and-coming celebs desperate for fame and a fan following, movie stars, and singers. They’re thin slip-‘em-in-your bag issues or massive beauty bible tomes. According to enovatechina.com, Barbie Hsu, or 大s as she is known to her faithful female followers, was behind the first beauty book phenomenon. I’d love to get my hands on this book that girls are supposedly revering as beauty gospel. 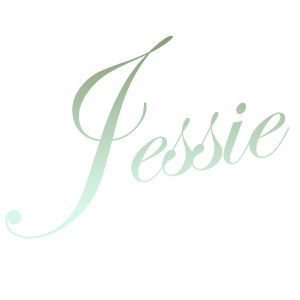 It apparently has really great, easy-to-follow tips and her thoughts on her favorite products. A simple action that, as a result, has caused said product(s) to fly off shelves. I think a book review is in store. Stay tuned. We all know that beauty comes from within. And it’s literally true: what you ingest is manifested in your health, your physical appearance, and thus, as a result of the two, your demeanor, carriage of self, and spirit. The Chinese, with their history of traditional herbal remedies and preventative tonics and soups, have been trying to tap into the secret of maintaining beauty from within for thousands of years. There’s a huge focus on preventative health in Chinese medicine and still a prevailing appreciation of natural beauty. So, as you’d imagine, the Chinese have fine-tuned a plethora of herbal tricks and cure-alls to target any beauty need. 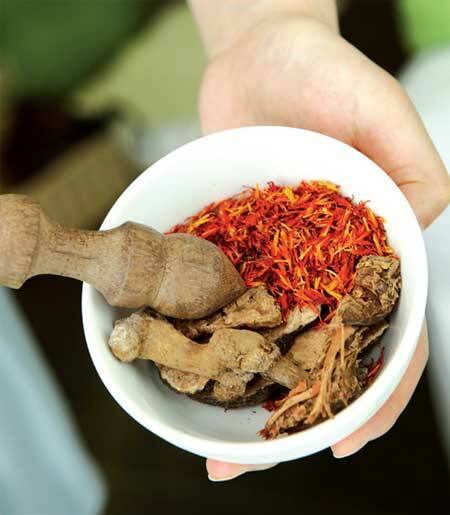 I was about to pull on my investigative hat once again and do some exploring, but Vivawoman beat me to it and wrote a fabulously comprehensive survey of the best that TCM (Traditional Chinese Medicine) has to offer. In the meantime, I’m planning my follow-up report with some research into how these traditional medicines are being reinterpreted by brands like Herborist and She, often fused with biotechnology, resulting in some pretty neat modern beauty treatments and skincare products that draw from the best of all worlds. I have an unhealthy love for the beauty retail phenomenon we know as Sephora. To the point that I can’t walk by one without going in, and to the point that I can comfortably stay up to 3am dedicated solely to the task of adding new items to my wishlist. So you’d naturally assume that I’d be dying to check out the Sephoras here in China: and you’d be right. Key Takeaway: It’s not the same. And that’s a great thing. While it means that I’m suddenly stripped of the comfortable promise of familiarity upon walking in the doors of a Chinese Sephora, it also means that they’re doing a great job of adapting their business to the needs and preferences of the local market. A business strategy that’s been paying off: they’re looking to grow to 100 stores in China this year. And while there’s always a danger of changing the product in a way that confuses the consumer and dilutes the brand image, Sephora China has done a good job in keeping the shopping experience and brand elements, such as retail design, consistent. So how do they differ then? From the outside, Sephora China looks like my beloved Sephora US. Walking in, I was immediately struck by the thought: this isn’t quite the same. That’s because while the retail layout design is essentially the same, the product priorities, as demonstrated by the display of featured products, are different. In the US, Sephora’s displays showcase new products and, pretty innovatively, walls of recommendations for must-have brushes, glosses, [insert other category of beauty product here], etc. That always gets me to buy. You also have the seemingly random selection of expertly-curated cult “goodies” that are usually located by the cash register. In China, the first thing you see is: value box sets. Lots and lots of them. Usually containing three to four products each…and almost all skincare products. The beauty market in China is driven by skincare – so it’s not an entirely illogical priority. Point in case: every product labeled with China Sephora’s “Number [insert rank here] Best-Selling Product” sign was a skincare product. The percentage of display space dedicated to each category is different (percentages here are purely estimated from personal observation, approximate, and are in no way supported by actual store data). Still don’t believe skincare dominates Sephora China? 7 of the 9 products featured on the landing page of the Sephora.cn website (as of today, 9/12 @7.25pm) are skincare brands. In China, the skincare brands, ~45% of the store, include: Lancome (which is strangely enough, not found on the website), Institut Esthederm, Talika, Sampar, Rexaline, Laneige, Eisenberg, Biotherm, Dior, For Beloved One, Givenchy, Guerlain, Lancaster, Clarins, Strivectin, Herborist, Estee Lauder, Clinique, Decleor, Mamonde, to name a few. In color cosmetics, the brands featured include (but not limited to): Benefit, Dior, Make Up Forever, Estee Lauder, Guerlain, and Lancome. Observation? Mostly French brands. Of the brands listed above, 65% are French, only 2 are mainland Chinese (including Yue Sai). There are a total of 5 Asian brands. Many of the US brands that are typically found in a US Sephora are absent here: Bliss, Urban Decay, Philosophy, Stila, Tarte, Bare Escentuals (American brand owned by Shiseido, a Japanese company), Smashbox, etc. Which is not unexpected (though missed). One thing to note is that the China Sephora doesn’t offer as many homegrown (including Asian) brands as the US does. A typical scene in the Sephora in Times Square features girls fighting for mirror space as they use q-tips to apply color on lips, swipe blush across cheeks, or rub cream foundation onto back of hands. Sephora’s sales experts approach and consult girls on how to choose colors that suit them and how to apply chosen color. In China, there’s hardly anyone testing anything. The dedicated make-up space (branded Sephora, naturally) features empty chairs. As a result, there just aren’t as many people in the store. I thought maybe it was because I went during a low-traffic day part, first exploring on a Thursday evening, then on a Friday afternoon. But today, I went Saturday mid-day to two Sephoras in one of the busiest shopping districts. These stores, however, were a mere two department stores apart, so who knows, maybe they were cannibalizing each other’s business. Further investigation pending. Maybe I had just never noticed the men’s products in the US, but in China, you can’t miss ’em. Sephora China has wall displays dedicated to men’s products. I’ve heard wonderful things about Biotherm Homme, but had never seen Lancome Men or Dior Homme featured so prominently. The men’s market here has huge potential. And it hasn’t gone unnoticed by Sephora. There were a fair number of male sales staff, but not many male consumers in the store (except for my friend Christian, who was unfortunately dragged along and had to stand uncomfortably in the middle of the cosmetics section frozen in male fear). So there you have it, the six differences purely derived from casual observation and first impressions. One other fun thing I noticed was the packaging (not a difference, so not included above). Most of the products, coming from outside China, didn’t actually have Chinese language packaging. And there wasn’t much in the way of informational tent cards and such. So, most of the local language information came from the product names on the price tags. It’s a good thing the sales staff are really friendly and approachable. It’s a great solution: for a store so focused on skincare, it really supports the emphasis on expertise and product efficacy. Staff: To complete the analysis, it’d be great to dedicate more time to speaking with the staff and confirming their expertise in skincare and product knowledge. Loyalty Program/Beauty Insider: I also didn’t notice the loyalty program, a huge piece (and asset) in the US Sephora experience. I’d go back and check that out. Price Comparison: Taking one product and comparing Sephora China’s price and US online equivalent quote. Investigating how much value we’re getting out of the box sets. Is China really cheaper, as we’ve been led to believe? The Online Experience: I love the US Sephora mobile and online shopping experience – can China’s Sephora.cn measure up? Here’s something I’m curious to find out: anyone have any thoughts on any of the other Sephoras around the world? You know how every so often you chance upon an article or come across a blog entry that just has you silently nodding “yes, yes,..I agree!” as you read through it? So I’m a big fan and follower of beauty blogger Nadine Jolie and just last week read one of those nod-worthy entries. As I’ve just started doing this myself, it felt particularly appropriate to include it now while I’m still figuring out what I have to say here and how I plan to do it. 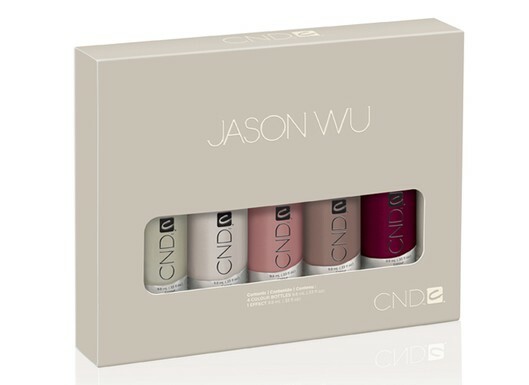 Just got word from WWD and All Lacquered Up that Jason Wu, in collaboration with CND, will be launching a collection of designer nail polish colors. And already I’m a fan. Now, there’s no telling when it’ll actually make it all the way over to Asia. But, alas, a girl can still lust, no? The collection will not available for purchase until May 2011, so I intend to keep an eye firmly on CND.com until then. CND and Jason Wu have carefully designed these colors with the intention of creating an elegant “staple” — so here’s hoping that I’ll still want the colors then!